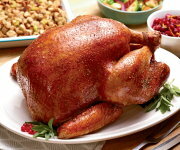 You don't have to wait for the holidays to enjoy the best part of our organically-raised turkey! 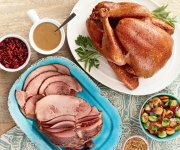 Plump, juicy turkey breast portions are generously sized and ready to roast, grill or stir-fry. This is a variable weight product that will range from 14 - 16 ounces. Each package consists of 2-3 pieces. Handling: Organic Prairie meats are -frozen at the peak of freshness, then individually vacuum sealed in air-tight packages to preserve optimum taste, flavor and freshness. Store in your freezer and thaw meat in the refrigerator or by microwave before cooking. The best part of the turkey and not eating turkey for weeks! 1 breast at a time and it was wonderful. Organic turkeys are the best! Taste is excellent. Pkg arrived frozen as described in a timely manner. I would absolutely purchase this again. Cannot quit commenting on the excellent taste of the 1# pkgs of turkey breast. Such a convenient size; no need to wait for a special occasion. Best we have ever tried. I order these turkey breasts and the ground turkey over & over. Nothing has compared. I am pleased with the quality and the shipment timing. These are wonderful! Can be thawed quickly in a bowl of cold water and popped into any marinade stored in the fridge overnight and the next day's menu possibilities are endless. If you should have any leftover it is great in a salad and makes nice sandwiches too. The Organic Turkey we ordered was just as excellent as the beef we have ordered previously. Consistent high quality. Go Organic with Organic Prarie! The turkey breasts are always of the highest quality. 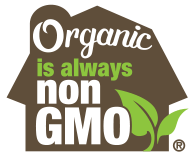 Organic Prairie makes it possible for me to provide safe nutritious food, not available in my area, to my family. One family member has special needs due to medical issues. This organic turkey is sustaining him. Thank you Organic Prairie! Very happy with the turkey breast. I will continue to order this product. I breaded sliced turkey breasts and quickly fried them in olive oil. Excellent taste and tender. I have also used them in a stir fry with veggies. Yummy! Tastes as good as bone-in. Serves two for dinner and generous leftovers. Order arrived as expected - in excellent condition. No damage to meat nor packaging. Thank you for the great service. 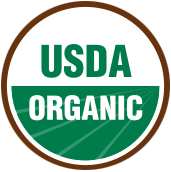 I've bought a lot of different turkey from companies over the years and By Far, Organic Prairie sells the best turkey in the US. Once I tried the turkey breasts I ordered a bunch so my freezer is now full. I purchased the turkey products for a friend for a Birthday Gift. She is on a special diet and is not permitted any red meat and had been unable to find any organic turkey products in California. She called after her first dinner to say it was the best turkey she had ever had. I plan on sending her another gift during the holidays and also ordering some for our family. Thank you for offering a healthy option! The Best Turkey We Ever Had !! I was so happy when I discovered Organic Prairie. I ordered the turkey breast to try as my first purchase and it was a huge hit with my family. We will be ordering our holiday turkey and ham from here. We are so very pleased with our purchases. Very tough, no one wanted to eat them. Absolutely amazing steaks, chicken and turkey. My family actually asked me if I could buy more !!! The shell steaks are unbelievable ! Great taste, trimmed and perfect portion size. I will be ordering all my meat from Organic Prairie from now on !!! The turkey breasts arrive cleaned & well packaged. Am delighted with the service. Top Notch! Thanks! It is hard to find boneless turkey breasts in my area, these arrived frozen, well-packaged. The meat was very good, I roasted it in the oven and it was very tasty. Thank you! This was very convenient to order and arrived quickly. I love these turkey breasts, they are easy cooking, tasty, meaty and delicious. My only concern that these come by UPS who delivers to me last. I worry that the product will thaw. I would suggest using FedEx since they deliver first thing in the morning. Other than that I am very happy with the turkey breasts. I ordered the organic turkey breast for a large party and the product was fantastic. Everyone commented how much they liked it. I will be back for more. Thank you. Best taste I ever remembered. Wonderful! I looked for a source for good quality Turkey breast as I only like white meat and my body prefers turkey over chicken. Organic Prairie is the only company that had exactly what I was looking for. So, I've ordered their turkey breasts multiple times. Great flavor! We use them in soups,enchiladas,wraps and so much more! Good quality of turkey and size; will be a repeat customer. BUT the bags ALWAYS and I mean ALWAYS leak, so unless I place in a plastic bag in the fridge while it's thawing, I have a nasty mess. I would give 5 stars except for the leaking. Major downside! The turkey breasts were delivered right on time. All were still frozen. My wife and I really enjoy cooking the turkey in different ways. This turkey is amazing and you can do so many things with it. Great tasting turkey breasts. I've re-ordered many times. Your skinless boneless turkey breast came out tender and juicy. It has a great flavor and texture. We will order them again. I was looking for a turkey breast that I could cook as my sandwich and salad meat. These are perfect. Cooked them on my RET TEC smoker and they are juicy and flavorful. You can totally tell the difference from store bought. I have since ordered the Whole Turkey and Turkey on the Bone to try for Holiday meals. 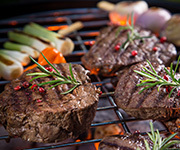 I have been enjoying the various meats for quite a few years -- ALWAYS Top Notch! Thanks! My wife and I find these to be just right for two dinners. Also, they're great to cut into slices for sandwiches. Great taste and quality. This turkey is delicious. Love the portions, easy to cut and keep part you are not using frozen. I live alone and enjoy turkey but a whole turkey would bw too much for me; the skinless turkey breast was just the right size for me; my other breast is waiting in the freezer for Christmas! It was so tasty.. 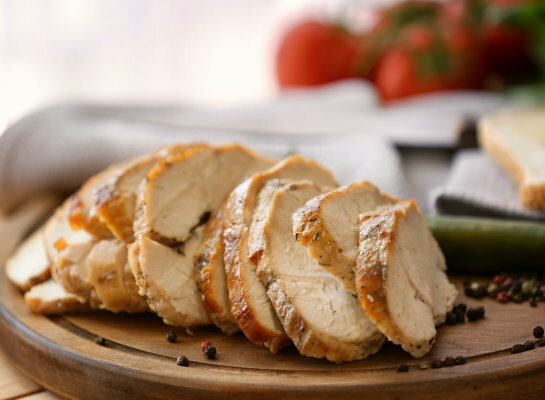 Delicious turkey breast that is organic and raised without unnecessary hormones or injections.